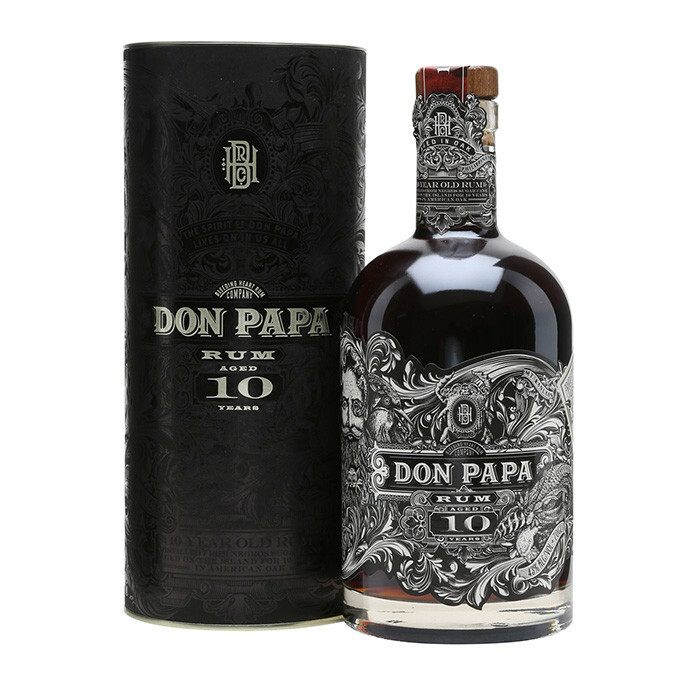 Dark amber in colour, Don Papa 10-year old is deep, rich and powerful on the nose, with a delicate tingle in the mouth, exuding bold flavours of dried fruits and cacao, with just a hint of oak. The rum’s potent character draws from the Philippines’ warm, humid climate, which yields one of the highest ‘angel’s share’ percentages in the world during ageing. Traditional Filipino rum makers do not refill these casks, producing this dark, intense and concentrated rum.